With Netflix’s Jessica Jones in hibernation until 2018, we’re desperately looking for our female superhero fix. 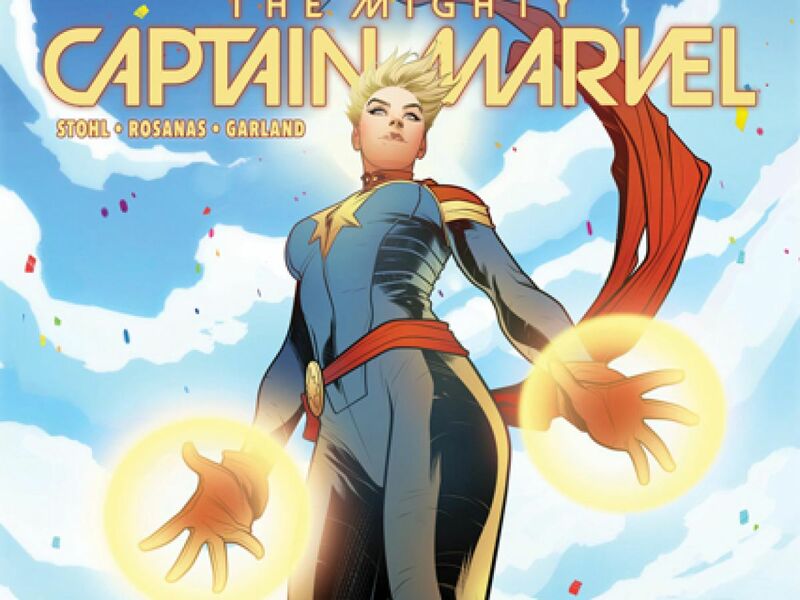 Enter Carol Danvers, aka Mighty Captain Marvel. You’ve probably heard that Brie Larson will be playing this female Marvel badass in a new film. (If you haven’t, well, something to look forward to!) This will make Larson the first woman to play the lead in a Marvel movie. So, first things first: Who is Carol Danvers? To help re-introduce this longstanding hero, Marvel is launching an all-new Captain Marvel series celebrating the exploits of this human-alien hybrid. The first comic will be available on January 18, and is part of the Marvel Music Spotlight, which pairs musical talent with some of the franchise’s coolest heroes. Basically, every time a new comic book is released, a related music video will accompany it. The initiative was launched to support last year’s Ta Nehisi-Coates’ Black Panther series, which highlighted hip hop artists. In a nice twist, the Captain Marvel spotlight will only feature female-led bands or female solo artists. You can watch the first video, featuring The Pretty Reckless (led by former Gossip Girl actress Taylor Momsen) above. 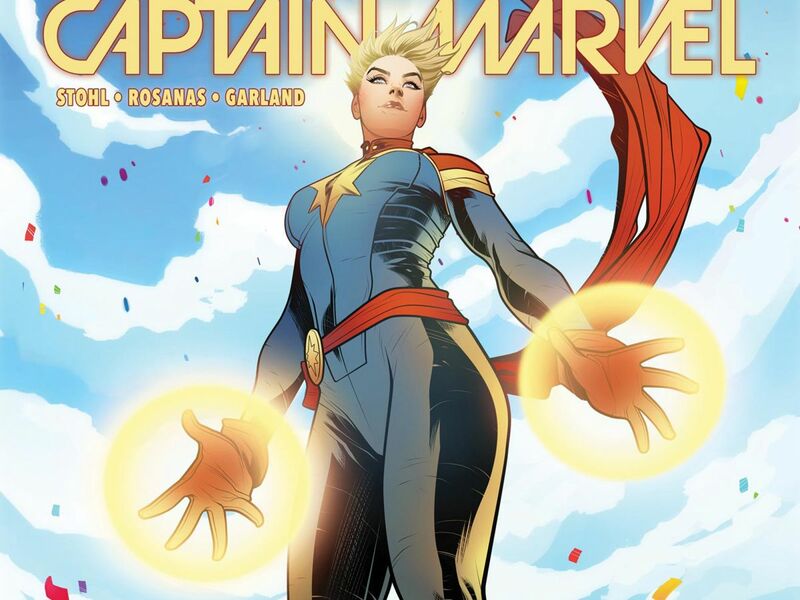 We talked to Mighty Captain Marvel author Margaret Stohl, and Marvel editor Sana Amanat about the new Carol Danvers, radical female superheroes, and why women should read comics. Let’s start with the most simple question: Who is Carol Danvers, and how would you describe her to a non-comic book fan? MS: “Oh, this is my absolute dream gig. I have three daughters; I have always worked in industries surrounded by men. I made video games for 16 years, in fact the first time I worked with Marvel was making the first Spiderman game for PlayStation 2. I’ve spent a lot of time in a sort of boy world that way, and it’s just amazing to identify with someone who also isn’t afraid to be in those rooms and has fought her way through a lot of places where people never expected her to be. But also, Carol says what she thinks, she’s a straight dealer. She knows you might not like what she’s saying, she knows you might not agree with her, but she never doesn’t say the thing and that’s sort of my goal in life — that’s our job as women. Say the thing. Go into the room and say the thing, make your voice heard, use it. Carol is just a badass about that. Is there something that makes a female superhero versus a male superhero? Aside from the fact that they’re just different genders? I was reading up on Mighty Captain Marvel before this interview and I saw a lot of like, ‘Oh she’s kind of like the female Iron Man,’ or ‘Oh she’s like the female this.’ How do you get passed being the female “something”? The first installment of the new Marvel Music Spotlight features The Pretty Reckless, which is a female-led rock band. Did you have a hand in choosing the music? 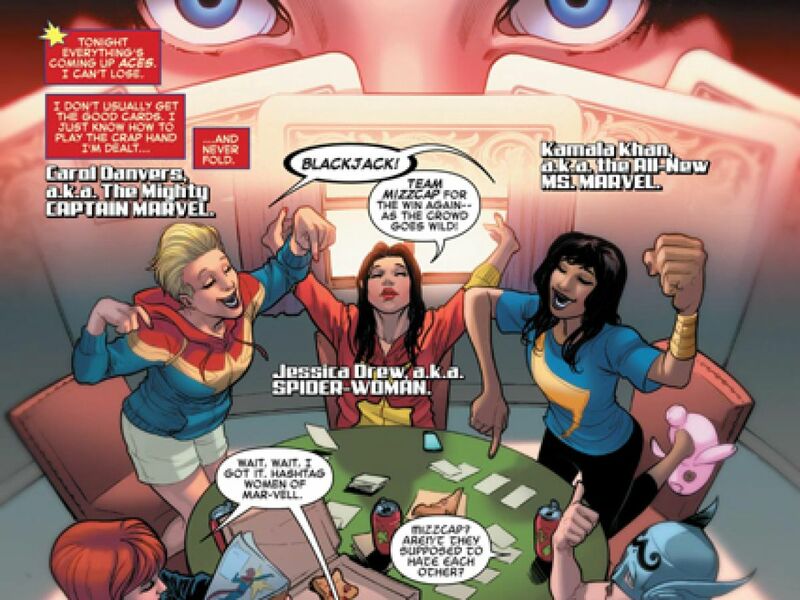 The goal of this initiative is to invite new fans into the Marvel universe — why do you think women should read comics? As you know, Brie Larson will be playing Carol Danvers in the upcoming Captain Marvel movie. What would you say to those who say that no man’s going to go see a movie about a female superhero? MS: “On a creative level there is no resistance whatsoever, which is great and frankly not maybe what everybody knows or expects, so that’s really heartening as an indicator of the comic book industry in general. I love the idea of Brie Larson up there — she’s so Carol Danvers in a lot of her choices, she just says the thing. She directed her own film, she’s a ground breaker, and a great actress and I think Carol would be really happy with that and I’m excited about it. What do you hope readers take away from this new comic release, and the upcoming movie?